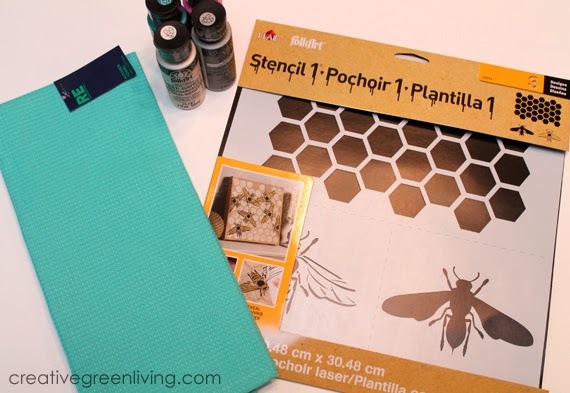 This project is brought to you by Stencil1 from Plaid Crafts. 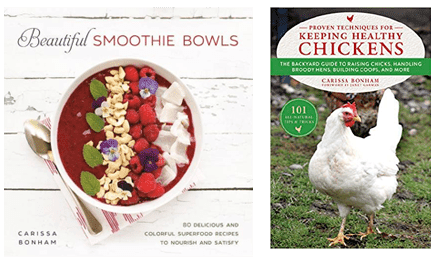 Do you need a cute kitchen towel for a gift or a tea towel to dress up your kitchen? 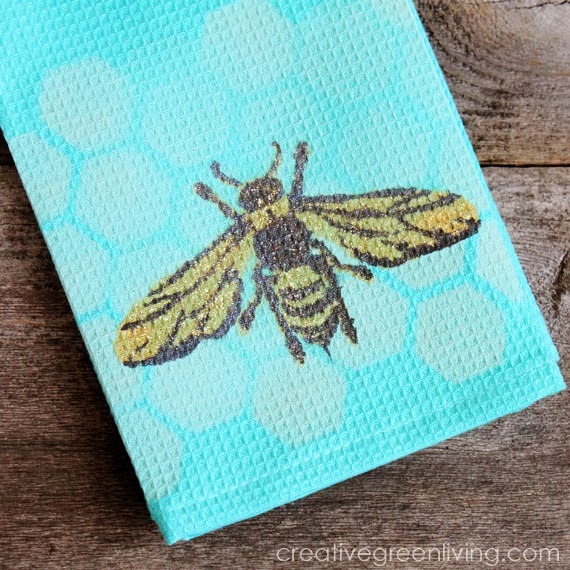 This adorable honey bee towel is easy to make and because the stencil is reusable you can make dozens and dozens of them if you'd like! 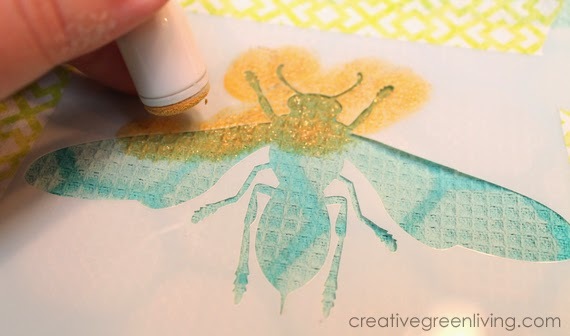 The three layer stencil technique I used here is easy to do and gives great results. 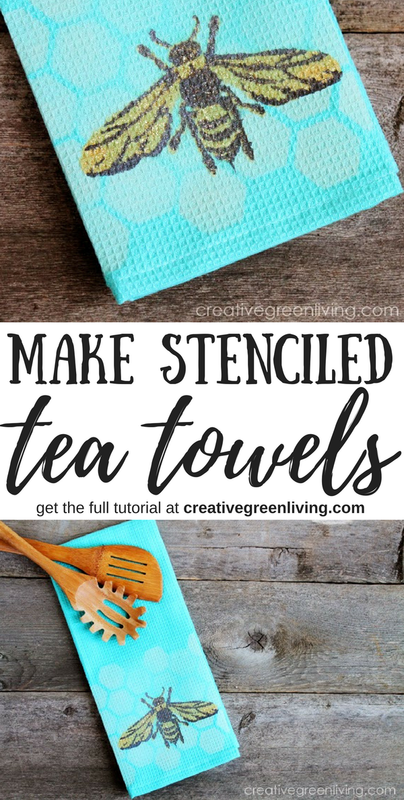 This project is simple and will teach you how to use stencil adhesive, how to use a multi-layer stencil and how to get a washable finish on fabric with FolkArt Multisurface paints. First I cut the stencils apart on the dotted lines. 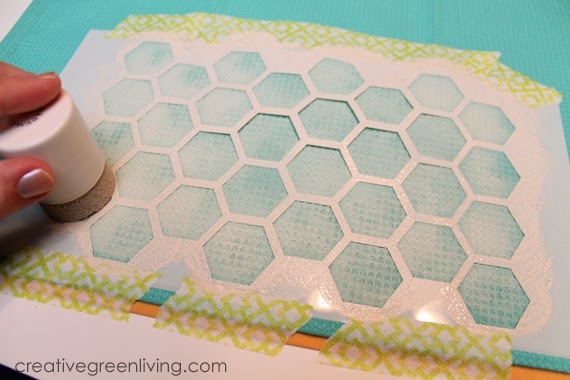 Next, I took the honeycomb stencil outside and sprayed it with stencil adhesive to make the back sticky. Then I came back inside, adhered my stencil to the towel and taped it down along the edges as well. After the honeycomb has had a chance to dry a bit, I applied the first bee stencil (also sprayed with stencil adhesive). 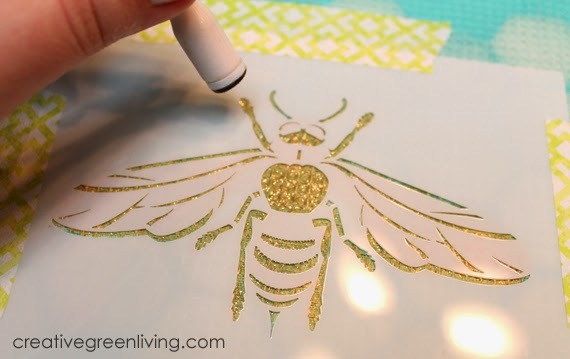 Working slowly with a small dauber, I applied a mix of metallic gold and gold glitter paint to fill in the silhouette of the bee's body. Once I peeled that stencil up and washed it, I carefully centered the detail stencil over the body and filled it in slowly and carefully with a dark grey color and a different dauber. 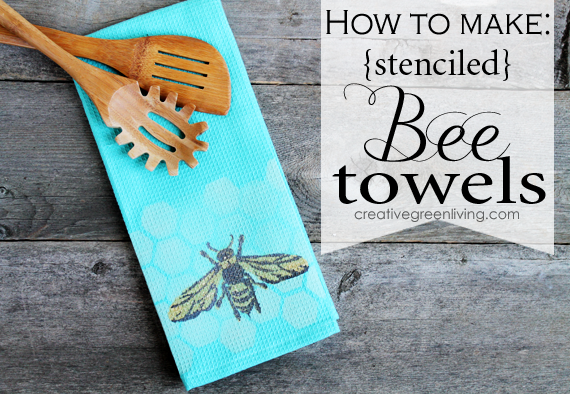 Don't forget to wash your stencils when you're done! These are made from re-usable mylar so you'll want to clean them up so you can use them for another project. 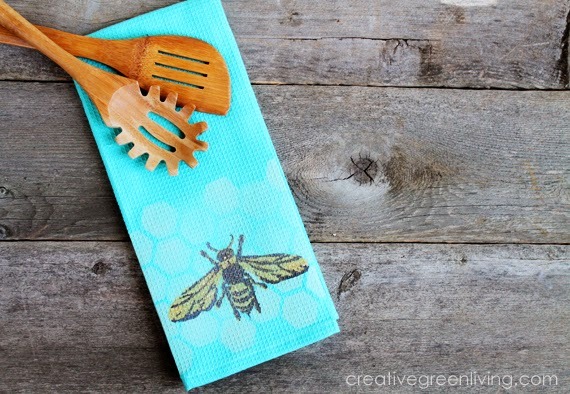 Set your towel aside to dry and in a couple hours, you'll have a cute kitchen accessory ready to go! I always enjoy working with the FolkArt Multi-Surface paints. 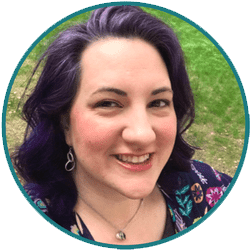 They are non-toxic and a great addition to your paint stash because you can use them on so many things! They work great on wood, metal, fabric, glass, and more. They are even washable and dishwasher safe. FTC disclosure: This post was sponsored by Plaid via The Blueprint Social. I was compensated for my time spent reviewing the Stencil.1 stencils and FolkArt Multi-Surface paints by creating this project. This project as well as all thoughts and opinions expressed in this post are my own. I only ever work with and endorse companies whose products I love. See my full review and endorsement policy here. I had no idea there was such a thing as stencil adhesive, great tip. 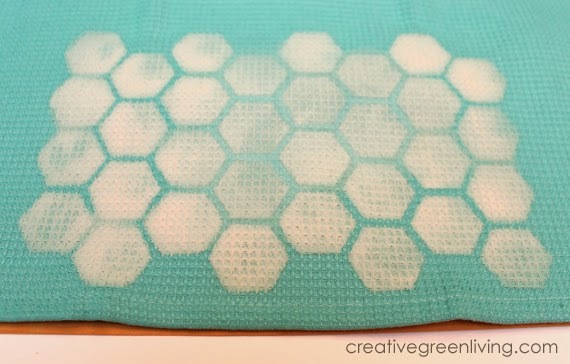 And I love how your towels turned out!